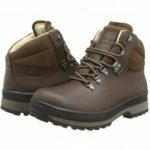 The Pros and Cons of this XPETI Thermator Walking Boots? 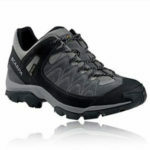 These XPETI Thermator Hiking Boots offer a surprising amount of comfort and protection in a short space of time. The main advantage here is the immediate comfort that so many buyers seem to experience. There are users that claim to have walked up mountains with no blisters or problems – and often without much need to break them in. The comfort comes from the quality of that moulded ankle support, the padding in the EVA midsole and the lightweight across the boot. There is even a loop on the back to help users put them on and off with ease. 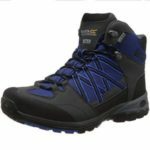 Despite all this, there are still plenty of features to ensure that this is a tough, reliable boot for long hikes in bad weather. The walking boots have waterproof membranes and mesh to keep wearers cooler and dryer for longer. The hi-top boots also come with the bonus of Thinsulate insulation. Wearers also appreciate the grip of the sole and the added protection from the rubber toe cap. This is why so many are able to tackle tougher terrain with confidence. The majority of wearers are impressed with this XPETI Thermator Walking Hi-Top, but there are some minor considerations. Negative comments are few and far between with this boot. There are some that drop a star in their review because of the fit. Like many hiking boots, this product can run a little big. Still, a good pair of socks seems to sort that out. There are also some that note that the laces provided with the book aren’t durable enough for long-term use. Again, this is something that is easily fixed. As for the boot itself, there isn’t much to criticise. 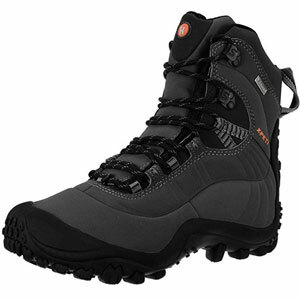 Does this lack of criticism mean that this XPETI Thermator Hiker’s Boot is highly recommendable? This boot really does have a lot going for it in terms of the features, comfort and materials used. The style and lightweight materials mean that it shouldn’t be the toughest boot out there. But, the moulding, protective elements and clever design ensure that it is reliable. There is the sense that most buyers can put this on and go on a long walk almost immediately. 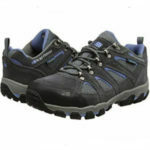 Therefore, these XPETI walking boots are recommended to those that want a break from bulky, heavy hiking footwear. 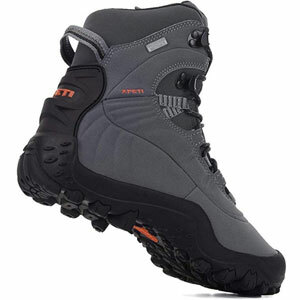 Find more reviews about the XPETI Thermator Hiking Boots on Amazon here.